1. Could you link us to your holy grail jean collection? I’m looking for some new jeans and would love tried and tested recs from you – would love a range of styles and washes and I’m short so petite/cropped options would be amazing. Meggan: I pretty much live in these Levi’s, these skinny jeans (obsessed with the hem), this distressed pair, and this black pair (yep – Abercrombie!!). Brooke: I live in this pair from Hudson, these (go up a size) and these from Levi’s, and this pair from DL1961 (over 70% off!). I think I’m going to order those Joe’s that Meggan linked to – I need another non-ripped pair and they’re on sale! 2. Can you guys put out a list of good reads? Brooke: I just bought Dark Places at the airport and so far, so good! So many people recommended it on insta stories! Meggan: I really haven’t been reading much the last couple months! I was on a roll then kind of fell off (aka I get too sucked into my shows at night lol). But I’ve read Wonder (read it in 2 days and cried a lot), What She Knew, Grit, and I just got Don’t You Cry because a lot of people suggested that one as well! 3. What is your best advice for staying sane the first month after having a baby? Meggan: Oh boy the first month is seriously such a blur! My advice is to accept help when offered, try to squeeze some “me” time in, and get on the same page as your husband. Cam was colicky so I felt bad having people help because I felt it was a burden on them but that was the total opposite. Everyone was happy/wanted to help! I think it’s also important to get out of the house alone if you can. Even if it’s just grabbing a Starbucks or getting a mani! Brooke: Recovery is so important the first month (for your physical and mental health), so my number 1 piece of advice is to sleep when the baby sleeps! My nurses were so adamant about this, and I promise it makes such a big difference in staying sane! Don’t try to get a lot of stuff done around your house, etc, just take care of yourself. With crazy hormones, a completely new person in your life/home, and trying to adjust to motherhood, it’s crazy how much sleep actually makes a difference. I also agree with Meggan, accept help from anyone who offers, and take time to do something for yourself – alone or with friends/husband. 4. I’m finally going to cave and purchase a pair of Golden Goose sneakers. I’d like a pair that are subtle looking, but I’ve been looking online and there are soo many options! Is it possible you guys can link to your exact pairs? Meggan: I have this plain white pair and this studded pair (which are not so not subtle lol). I love this pair too – definitely would go with everything! Brooke: I have the same plain white pair as Meggan and also this mesh pair – I love both! 5. 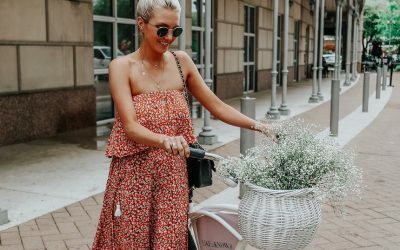 Can you do a round-up of some of your favorites that are included in the Nordstrom sale going on right now? Brooke: Just when we thought we were done spending money for the year 😉 lol. Some of my favorites are: this FP blouse, these leggings from Alo, this faux shearling jacket (obsessed! ), these sock boots, these APL sneakers, the besssst blanket ever – buying another since it’s on sale, these slippers, this faux fur coat, this hat (designer deal! ), this tote (also comes in black), and this cardigan – in my cart! Meggan: Nordstrom sales are not great for the wallet lol. I love this Adidas sweatshirt (got it for Christmas! ), these booties, this fleece jacket, this moto jacket, these boots, this cardigan, and these sneakers (they’re so comfy!). 6. What were some essentials you brought to the hospital when going into labor? And what were things you brought but didn’t use? Meggan: I packed my blankey, comfy clothes (I ended up staying in the hospital gown pretty much the whole time b/c it was easy), a pillow, socks, slippers, toiletries, makeup, camera, and snacks. Our hospital had everything taken care of for baby and my recovery. Brooke: My own pillow, computer (hospital TVs are terrible), headphones, chapstick, a robe to wear over hospital gown when I went out of my room, and cozy socks! I didn’t really pack a lot, but the one thing I didn’t use was makeup. 7. Favorite gift you’ve given and received this holiday season? Brooke: The best gifts given are definitely ones for the kids b/c you get to relive the joy of Christmas as a child – pure magic! It makes Christmas as an adult so much better! We (Chad and I) said we weren’t doing gifts this year, but I surprised him with a watch he’s been wanting for a long time and it was so fun to see his reaction/surprise. My parents gave me a pair of earrings, I love receiving (and giving) jewelry because it’s something that can be passed down to my girls one day. I have some of my grandmother’s jewelry and it’s so special to me. Also, I’m super excited about this massager attachment for the Clarisonic – I’ve heard amazing things about it! Meggan: My favorite gift was Cam’s hand & footprint in clay – so special! And for favorite gift given…hmmm I feel like my gifts were kind of lame this year but I got my mom a pretty necklace with a cool traveling jewelry case. It was so fun to watch Cam open all his gifts though. He actually got Christmas this year and loved it! 8. What is your current skincare routine? Are there any weekly masks that you do? Meggan: In the AM I wash my face with just water or this Tula cleanser, followed by this vitamin C serum, this eye cream, and this moisturizer. The vitamin C serum is expensive but it’s seriously changed my skin for the best and now I can’t stop using it. If anyone has a similar/cheaper suggestion please let me know!! My PM routine is this cleansing balm (also love this one), face wash, switch off between two serums (this one on nights I use the Glopro & this one regular nights), face oil (this & this are my favorites), then this overnight cream. And I use the Glopro every other night! It seems like a lot when I write it out but it takes 10 minutes tops! I’m a mask junkie and have a drawer full but my top three are this enzyme polish, PTR cucumber gel mask, and this exfoliating treatment mask. Brooke: My routines are always changing when I try new products, but here are my current AM/PM routines. Morning routine (2 mintues)- cleanse with Tula (or skip cleansing if my skin feels dry), then moisturize with this cream or this one – I love both. My nightly routine is not the same every night (some nights are simple, some are very involved lol) but here are the products/routine (10 minutes max): cleansing balm (also love this one) or makeup remover wipes, cleanse with Tula (with hands or my Clarisonic), GloPro (every other night for 1-2 min), serum, collagen oil (also loove this one and it’s $20 for a huge bottle), eye cream, and overnight cream (one of my all-time favorite skincare products!). I don’t have a ‘mask schedule,’ but some of my favorites are: this one from PTR (amazing for breakouts), and this one from Tula. I used to hate spending $$ on skincare products (not gonna lie, it’s still not fun), but as I get older, I’ve realized these products definitely make a big difference, and I’m a little obsessive about my skincare routine. 9. Do you guys have suggestions for hair dryers? And blow out brushes?! Brooke: I don’t have a favorite brush, but I love my Chi hair dryer! If anyone has a brush I need to try, let me know! I feel like I can never find one I love. Meggan: For brushes, I really like the brand Fromm 1907. I use the paddle brushes and love them but I haven’t tried the round brush. I’m too uncoordinated to use a round brush lol but it has really good reviews! I have two hairdryers – the Conair Infinity Pro and the T3 Featherweight Luxe 2i. I use the Conair one when I need to dry my when I’m in a hurry. It’s really powerful but probably not so great for your hair. The T3 one definitely leaves my hair feeling softer, glossier, and just healthier! 10. I’m moving to Dallas at the beginning of February and am looking for a cute place to live. Do you have any recommendations on cute apartments other than in Uptown? I don’t know the city all that well yet and wanted to see if you had heard of any fun, affordable places. When we moved here we knew we wanted to live the same neighborhood as my in-laws so we didn’t look around so I’m not really familiar with apartment buildings or cost of neighborhoods. But some of my favorites are Lower Greenville, Deep Ellum, Bishop Arts District, and Oak Cliff! Hope that helps! 11. 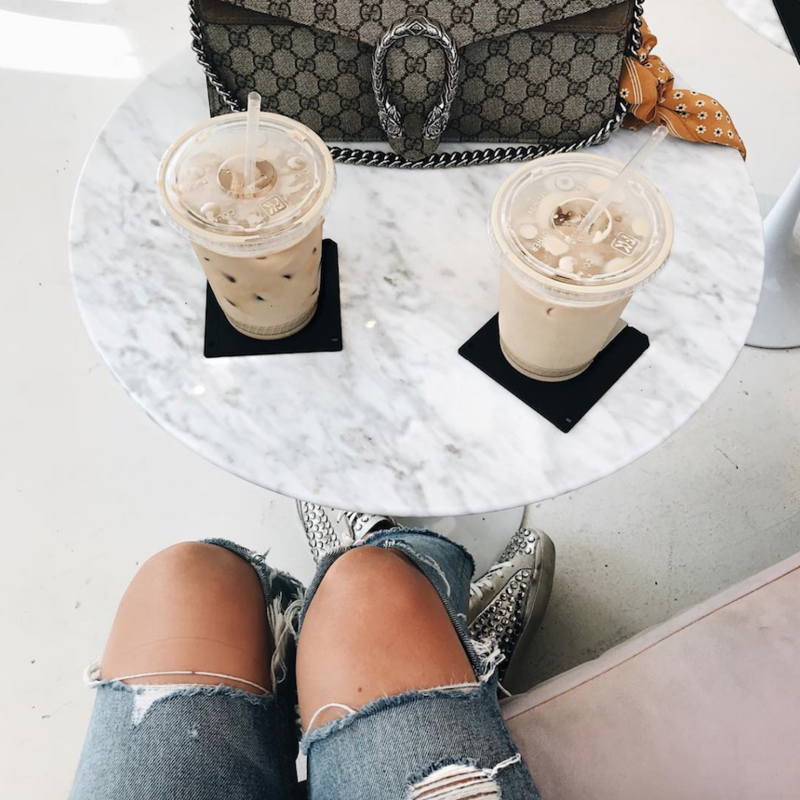 What’s your favorite designer bag that has held it’s value? Brooke: Probably my Chanel boy bag. 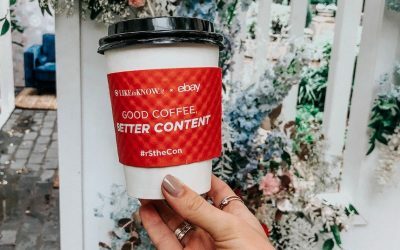 Here’s a great article if you’re only interested in purchasing bags that hold their value! Meggan: Definitely my Hermes Evelyn bag! 12. 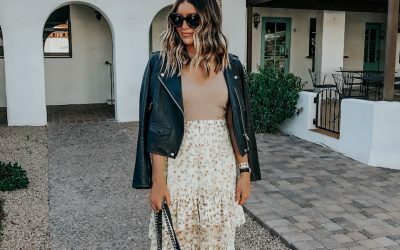 I’m heading to Cabo in January and wondering if you can suggest any dinner outfits and a good sweater/wrap for when it gets a little chilly at night? Preferably on the cheaper end, each under $100. 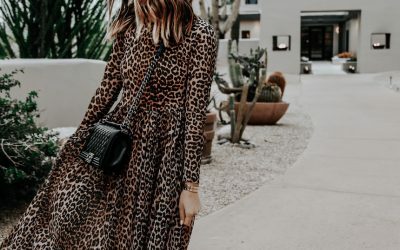 This romper is so cute (I wore it to dinner at Edith’s when I went in June), love this off-the-shoulder dress, this maxi is fun, and love this stripped jumpsuit. As for a lightweight sweater – this one or this one would be perfect! This fringe dress (with tights and a cardigan if it’s not appropriate) is perfect! Also love this dress, and this one (so many color options)! 14. What is the best shampoo and conditioner for postpartum dry, thin hair? I’ve lost quite a bit and pre-pregnancy it used to be thicker. Also, any hair mask recommendations? Ugh that is the worst! Honestly we tried a bunch of hydrating shampoos and honestly nothing really worked. Some hair masks we love are this Kerastase deep conditioning treatment, Oribe moisturizing mask, and just plain coconut oil overnight. You could also try these postnatal vitamins! 15. I’m on the hunt for winter boots! Could you share some of your favorites? Our favorites are these Hunters (so fun! ), these classic Sorel boots, this lace-up pair, these combat boots (obsessssed), and these wedge boots. 16. What are both of your guys current favorite makeup products? Meggan: I just started using this setting powder (thanks to Brooke! ), this highlighter wand + contour wand are my favs, love this eyeshadow palette, and this mascara. Brooke: The same setting powder (it smells so good), this bronzer in Laguna (and old favorite, but just started using it again and reminded of how good it is! ), this concealer (best ever! ), and this lip crayon (I use My Flip Side) – it’s moisturizing and gives subtle color, perfect for on the go! 17. I’m looking for a handbag in the range of $300-$400 that I can use year round (I love suede!). Any suggestions? This bag is so pretty (love the blush! ), and we’re also loving this one, this one (taupe + gold combo is amazing), and this one! 18. My boyfriend planned a trip for us to Tokyo and Hong Kong for my birthday! We are leaving January 13th and I have no idea what to pack. I want to get some fashionable sneakers or Nikes for walking all day and stopping into nice bars and restaurants. I’m also looking for a coat suitable for 40-50 degree weather. Any suggestions? That is so exciting! Some cute sneakers we we’d pack are these New Balances, these Nikes (have them in white/black combo and love them! ), these white Supergas, and these Steve Maddens (look so comfy!). For a coat this, this, and this are cute/look warm! Have fun! 19. I’m headed to NYC in April and looking for shoe recommendations for exploring the city! We would stick to comfy sneaks! We linked a bunch in question 19 but a couple other favorites are these, these (go down a full size), and these! 20. Do you have any new meal ideas or healthy snacks for 2018? Stay tuned – we will be doing a post on this next week! 21. I’m going to Hawaii for our baby moon soon and wondering what you would pack? I don’t want to waste money on maternity clothes! Luckily swim suits (tie ones worked best for us), coverups, and dresses can be worn with a belly or not 😉 This maxi is pretty, this coverup is fun, this dress is cute, love this suit, and this caftan. If you end up having to buy some maternity stuff, ASOS has cute and cheap options! 22. I would love if you did a full blog post on this but do you have any suggestions for co-blogging with a best friends? How do you communicate, split tasks, answer emails, etc? 23. I’m traveling soon and am looking for a warm yet elegant poncho for the flight. I’m thinking a neutral color and hoping to spend less than $200. Any ideas? Have you ever looked at Cuyana? Their clothing is really well made and so chic – I have this cape/poncho in tan and love it. A few other favorites are here (love the color block), here, and here. 24. How do you style your console table? Dining room buffet table? We usually style consoles with coffee table books, a lamp (if it works), and candles! We like to keep it simple, and not have too much clutter on them. Some great inspo here and here. 25. I’m a working mom pregnant with my second child, any clothing line recommendations for working out and work? We tried to avoid maternity clothes as long as possible lol. But most of the things we loved were from A Pea In The Pod, Motherhood Maternity, and Target. For working out (which we didn’t do a lot of lol), we just wore our normal pants folded down below the belly, and oversized tees/tanks. A Pea In The Pod does have a ton of activewear options, though! Some pieces we love – this top, this sweater, and these leggings (kind of expensive, but these are the best and you’ll wear them almost every day!). 27. I’m on the search for a new gym/life bag. I live in the Chicago and am on the L everyday with my laptop, lunch, and all of my gym stuff (including tennis shoes). Looking for a nice bag I can go all day with that looks a little professional but also very functional. I don’t know if this exists but if you could round up a few for me – that would be amazing! Not sure of the exact size you need, but sounds like it needs to be able to hold quite a bit. Loving this one, this tote looks like a great size and you can customize it, and we love our MZ totes – they can hold a ton! What type of wallets do you ladies use? I am looking for something small, that zips all the way around (nothing with a snap closure) and has room for both cash and cards. I’ve had no luck checking all these boxes without it being super expensive! Any recommendations on a stylish but functional diaper bag that won’t break the bank? I’m due at the end of February with my second child, and have a 2.5 year old already, so I need something that’s easy to carry. Thanks ladies! My bedroom is so blah, looking for a rug to spice it up! Any suggestions ? Preferably under 200$! What would you guys wear in Vegas in February? Any suggestions would be awesome! I just got an Olivia Garden round brush from Ulta and love it! I have 2 questions! I am a bride and have my bridal shower in NY in February. I need some dress recommendations–since it’ll be cold there it’s sort of putting a damper on my shopping! Looking to spend less than $100. My other question is for recommendations for my bachelorette in Mexico! Would love to get some new going out clothes and beachwear! Hey ladies! So I am getting married in July 2018, and have been trying to desperately hard to make my hair grow. So it’s longer for my big day! You both seem to have great length and thickness to your hair, what’s your guys hair regimen?? Do you wear extensions, if so, what kind? I have some time so I’m not opposed to switching products, but would love your guys input. Thanks!! All of my cozy, “around the house” clothes have gotten really worn out, so I’m looking to upgrade everything! Any suggestions on chic loungewear that won’t break the bank? Meggan, have you still been getting laser treatments? What were the results and how quickly did you see them? I have some pigmentation on my cheeks and think I’m going to spend my Christmas money on some treatments. Oh, and did it hurt?? Thanks!